I know you all are crafty when it comes to scrapbooking, but do any of you have other crafty hobbies? 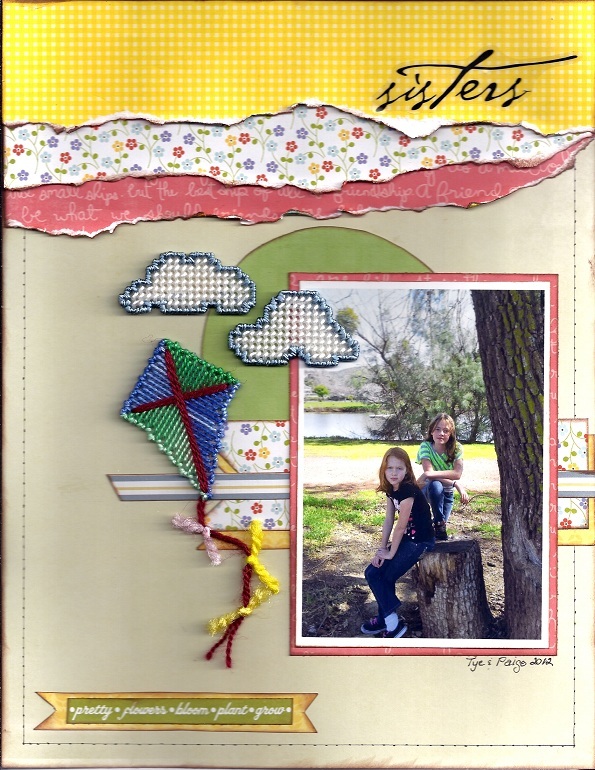 Have you ever scrapbooked any of your hobbies (crafty or not), collections, or whatever? I love to work with plastic canvas. I haven't actually scrapped about that hobby but some of my projects have made it onto a few of my pages. I have done pages about my collections...snowmen, nativities, lighthouses. That looks cute Berta, I used to cross stitch a lot, I should dig them out and see if I can use any of them. I so miss our gallery! I also make quilts and whatever other crafty projects strike my fancy. I sew and quilt, and do cross stitch and decorative painting. I haven't scrapped about those hobbies, but have scrapped about my love of reading and my collection of cookbooks. I LOVE the plastic canvas embellies!!!! So cute! I like to knit...but only in the winter. Too hot for it in the summer...my hands sweat so the yarn doesn't flow as well in my hands. Weird, I know! I'm actually gonna make a quilt for our bed. (found one on pinterest that is AWESOME!) I have one that I made for my sister that is unfinished because I had the brilliant idea to hand-quilt it. I'll NEVER finish it! The one I'm making for us will be either machine quilted or just a tied quilt. Piecing is the fun part anyway!